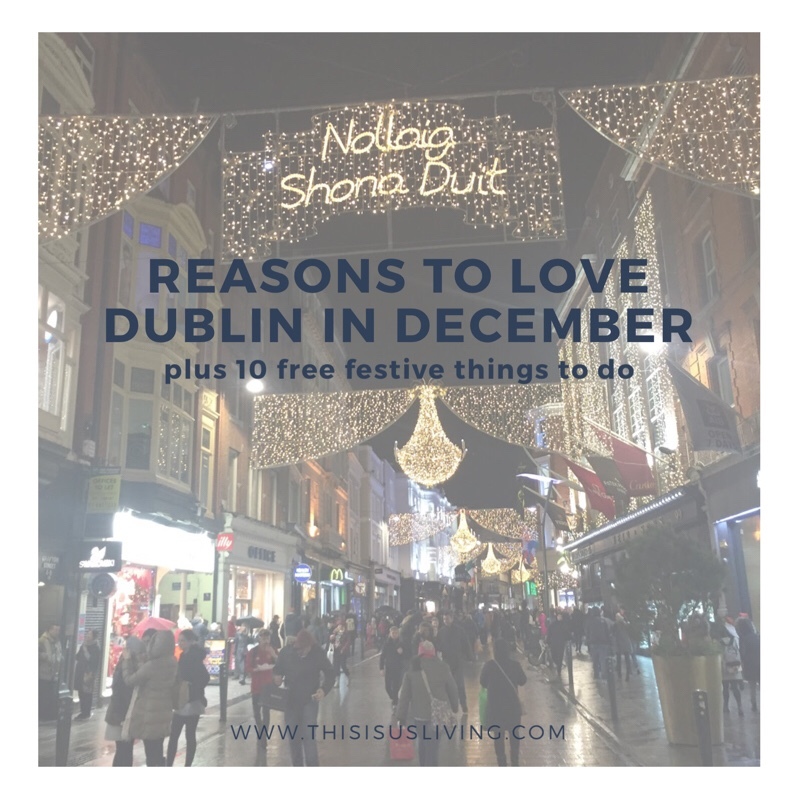 Spoiler alert: I absolutely love Christmas in Dublin – sure it might not be the most wintery wonderland of places in all the world, but I love the christmas vibe the city has. 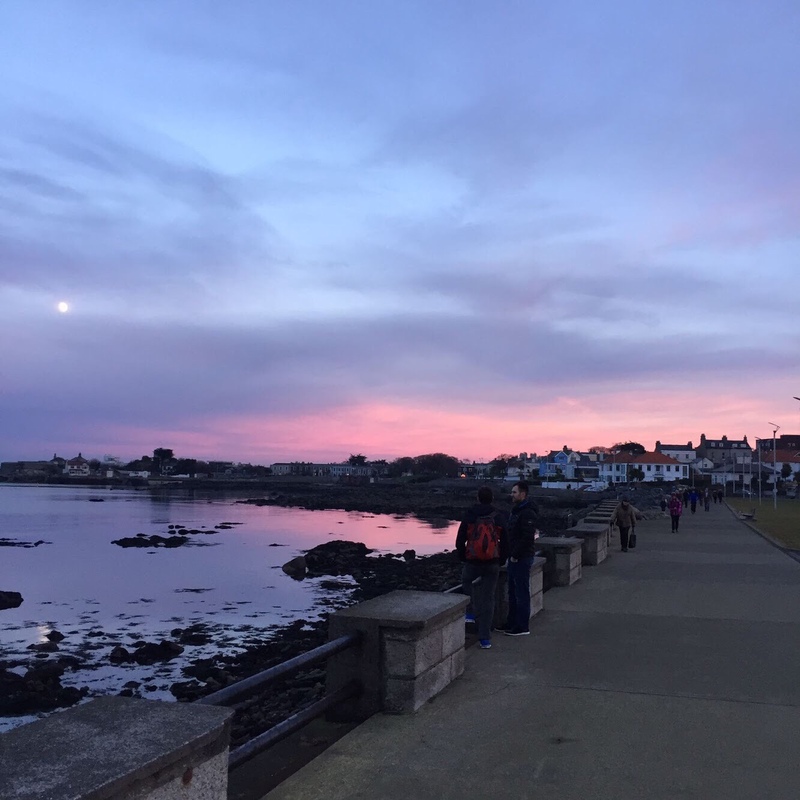 I hope this post shows you all the reasons why I love Dublin in December. 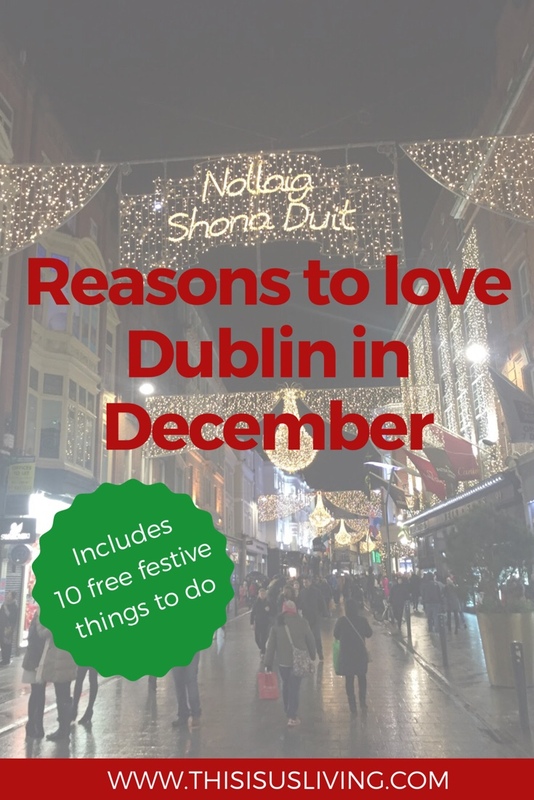 Plus, in an effort to keep our costs down over the silly season, I have created a list of free festive things you and your family can do in Dublin over the festive season. The holidays are meant to be enjoyed and celebrated – but you shouldn’t put yourself in debt over it! We arrived in Dublin last year, just in time to see the beginning of our first Christmas in Dublin. Most people would think arriving at the start of winter would be a hard adjustment. Short days, sunset at 4pm, super cold weather… plus being away from friends and family over the holidays, can all be a bad combination and a hard transition into a new country. 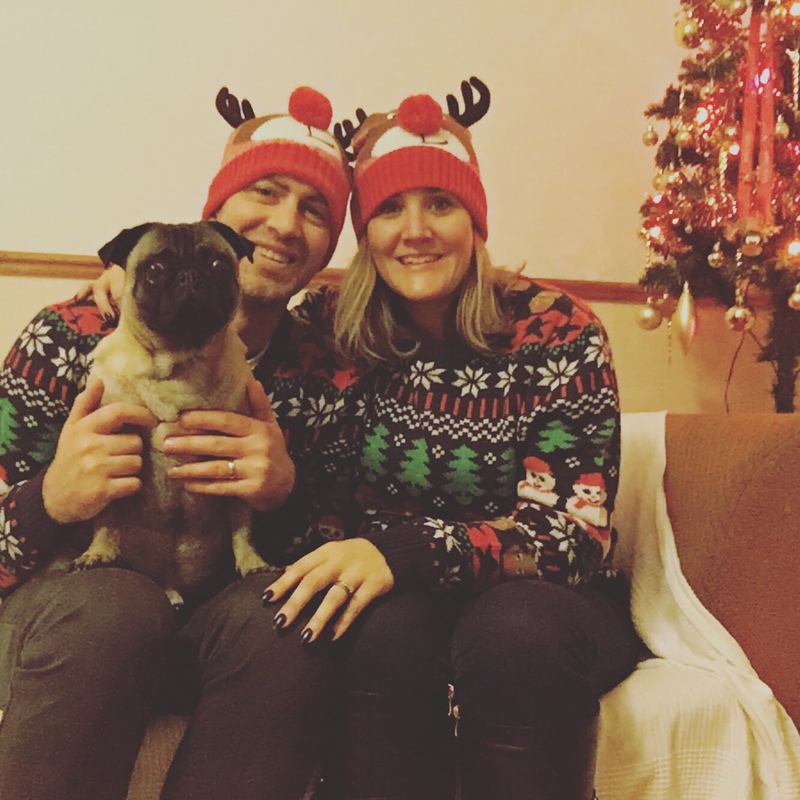 But our first Christmas in Dublin honestly made me so happy – and I now i love December in Dublin so much because it was something I got to experience with Rob and our furbaby – and we created new family traditions, just the three of us. The reason why I love Dublin in December is you really can get into the festive spirit, with all the Christmas lights all over town, stores stay open later and Christmas music can be heard everywhere. One of the best things about Dublin in December is that the winter (although cold), is a little milder compared to other parts of Europe. They don’t often get often get snow (not much in the city) but cold weather and the change in season is definitely felt. The days get shorter, and it is true that the sun will set around 4pm. But the benefit to an early sunset is that you get to see these beautiful cotton candy skies. Sunsets here are just so pretty to look at, and in the summer nights you have to wait till pretty late at night to see them. Like most places, at the end of the year, things seem to slow down a bit. People seem happy and festive, and full of hope for a new year coming around the corner. The hope that once Christmas has passed, and the new year is upon us, that soon the weather will get warmer. Christmas festivites makes it easier to bear the cold weather, well that is just my opinion. The Christmas lights all over town. You can go into the city center and walk along the streets for free. 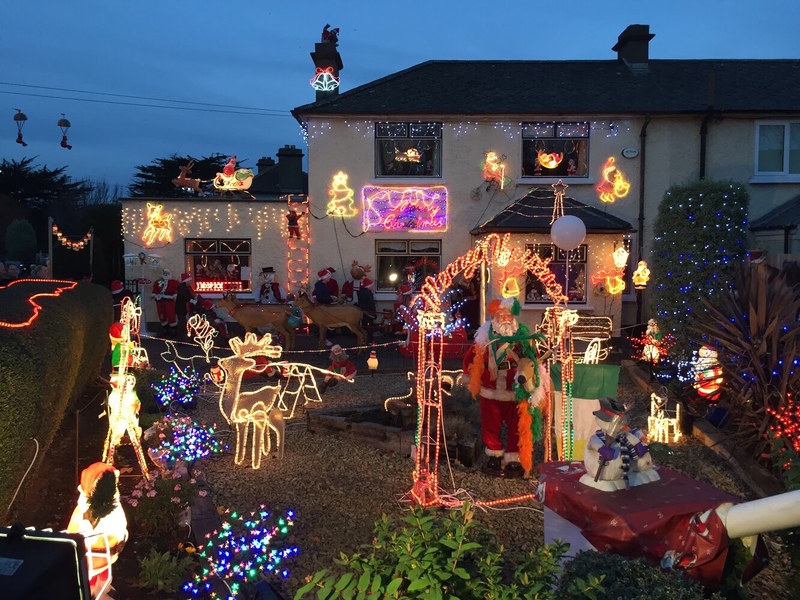 There is also a few homes that go a little over the top with their Christmas decorations, this house on Bath Avenue does it for charity, so anyone going to look at their Christmas lights can make a donation too. The Moving Crib at St Martins Apostolate’s premises at 42 Parnell Square; this is an unusual free activity to do in Dublin. The Moving Crib is the Nativity scene told through handcrafted moving figures that are approximately 1 metre high. Another place to see Christmas decorations is in a lot of pubs and restaurants all over town. One pub in particular took over two weeks to set up their decorations this year. Visit the Hole in the Wall Pub in Phoenix Park to check out their christmas decorations. If you are in the city checking out the lights, you may also get to hear the Buskers singing Christmas songs. Every Christmas Eve, well known Irish musicians go to Grafton street and sing Christmas songs. Bono, the lead singer of U2 has also been known to stop by! Lastly, if you are feeling extra brave, you could always celebrate Christmas Day by going for a swim at forty foot on the 25th December. 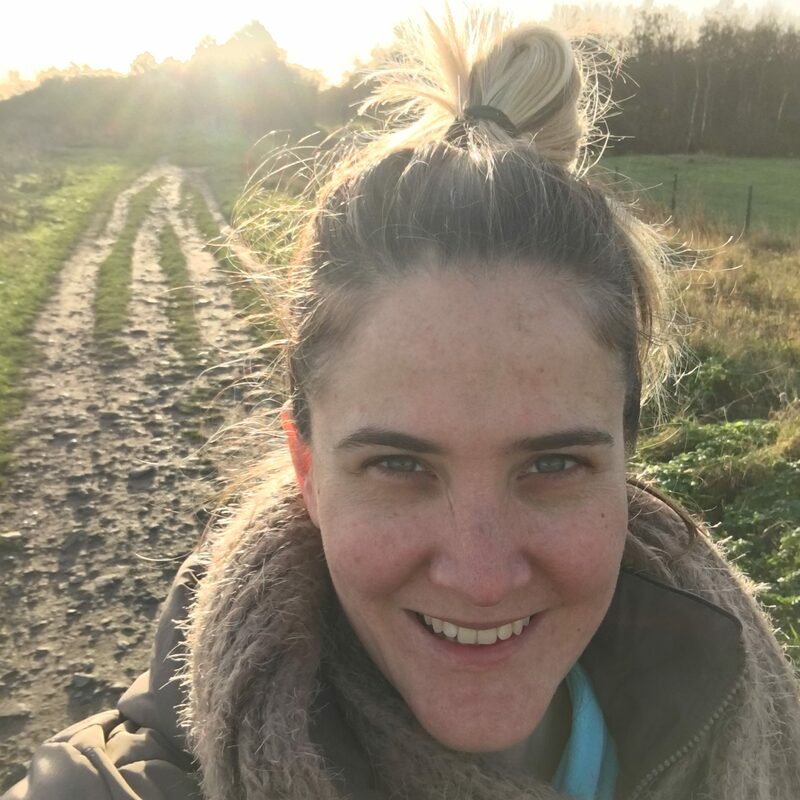 WHAT DO YOU LIKE TO DO FOR CHRISTMAS THAT DOESN’T BREAK THE BANK?